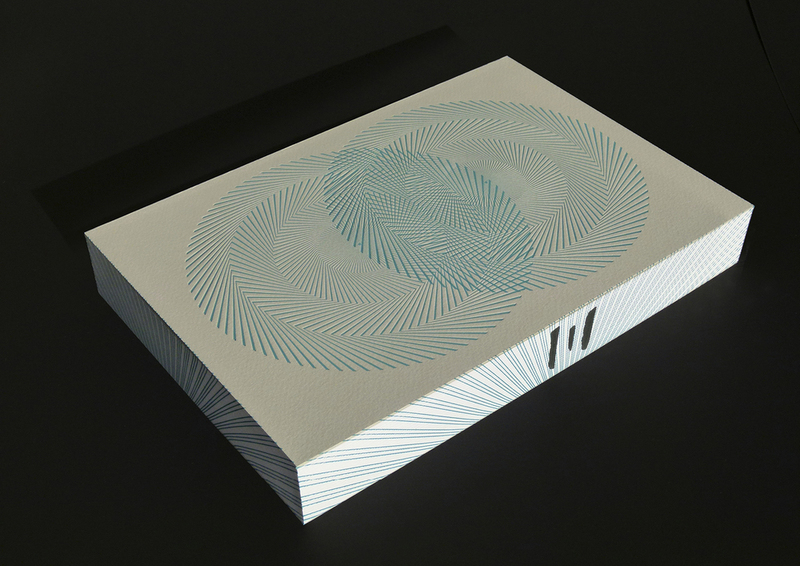 I had the wonderful opportunity to create artwork for a very small, signed edition of Haruki Murakami's 1Q84. This limited edition was a collaboration between myself (as the graphic designer), Simon Rhodes at Random House, and Kristen Harrison at The Curved House. Text design was by Jim Smith. 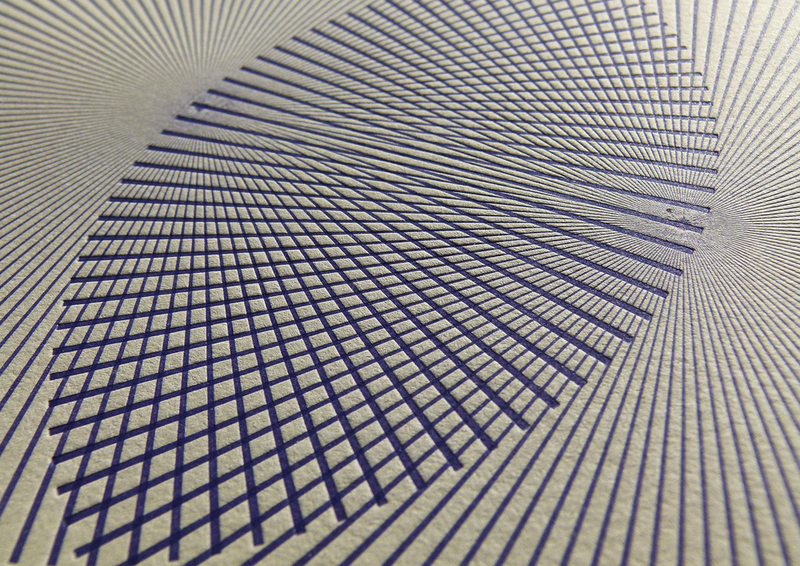 The covers were printed by Justin Knopp at Typoretum. 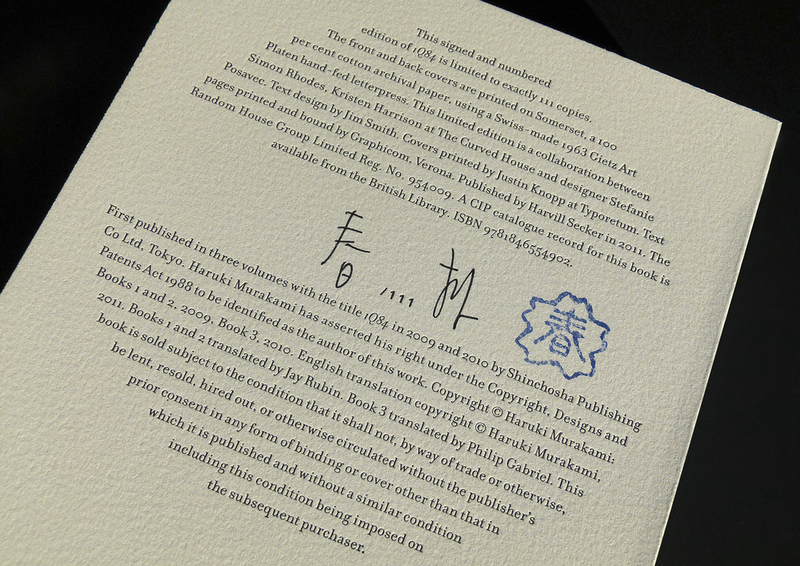 This signed and numbered edition of 1Q84 is limited to exactly 111 copies. 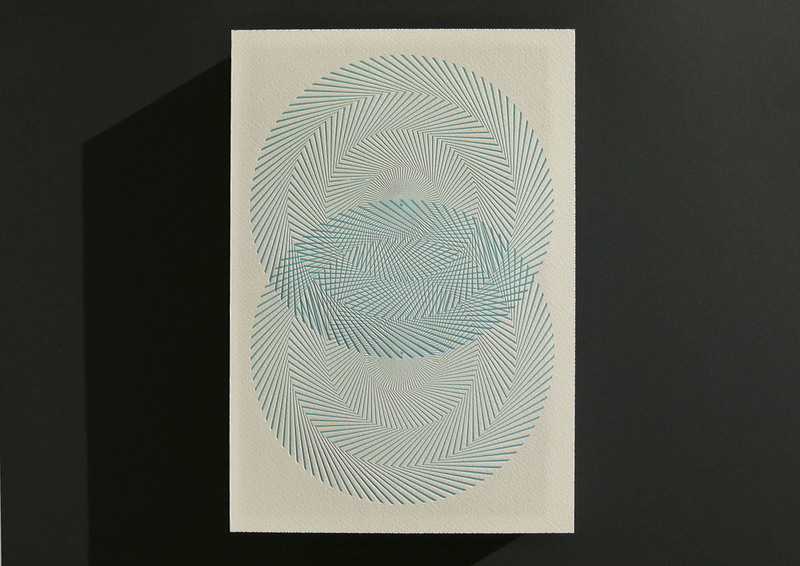 The front and back covers are printed on Somerset, a 100 percent cotton archival paper, using a Swiss-made 1963 Gietz Art Platen hand-fed letterpress. Text pages printed and bound by Graphicom, Verona. Published by Harvill Secker in 2011.